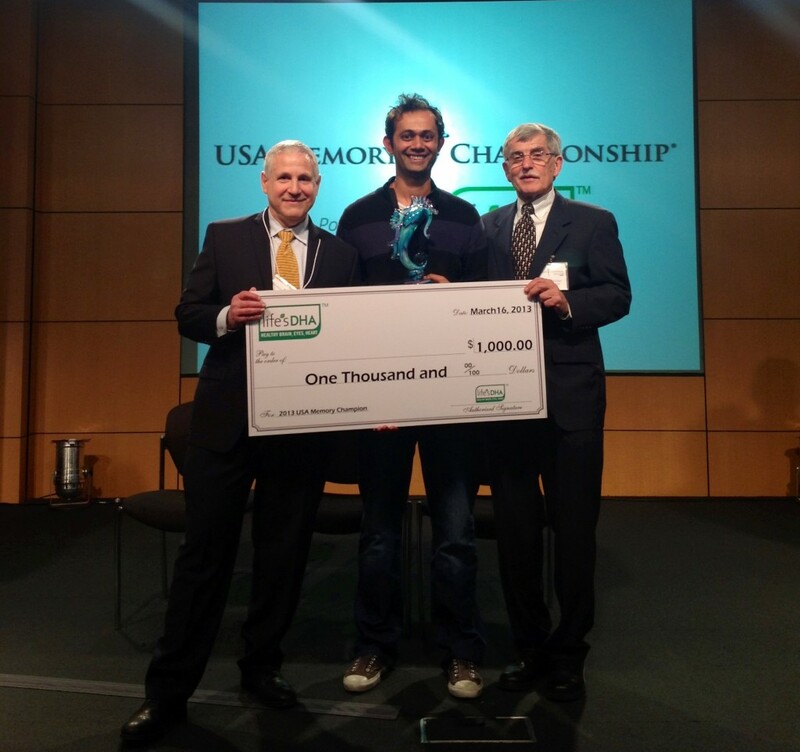 Congratulations to Ram Kolli, the 2013 USA Memory Champion! After competing in a live tournament for mental athletes on March 16, Kolli successfully memorized more than 100 names and faces, a shuffled deck of cards in less than four minutes, an unpublished poem and a list of 120 random numbers. life’sDHA™ was once again the lead sponsor of the 16th USA Memory Championship. The partnership is part of a larger commitment by life’sDHA to empower Americans to develop and maintain healthy, beautiful minds by incorporating lifestyle factors known as the four dimensions of brain health—diet and nutrition, physical health, mental engagement and social well-being. As part of the Memory Championship, David Perlmutter, M.D., board-certified neurologist, fellow of the American College of Nutrition and author of several books gave a keynote presentation. Dr. Perlmutter educated mental athletes and spectators on how to maintain better brain health and improve memory, including what foods make up a brain-healthy diet, how exercise and sleep impact the brain and how mental challenges and social interactions support long-term brain health. Once again, congratulations to Ram Kolli, the 2013 USA Memory Championship. Best of luck at the World Memory Championships! It’s hard to come by educated people in this particular topic, but you sound like you know what you’re talking about!